Chad Little Outdoor Power Equipment makes your Miimo experience easy. We will visit your yard for a pre-site consultation, answer your questions and show you how Miimo can make your lawn care easier. 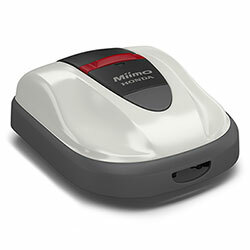 Chad Little Outdoor Power Equipment will also install and program your Miimo Robotic mower. And if you need support and help with maintenance, count on us to assist you. Stop by Chad Little Outdoor Power Equipment today to learn more about how Miimo can work in your yard.